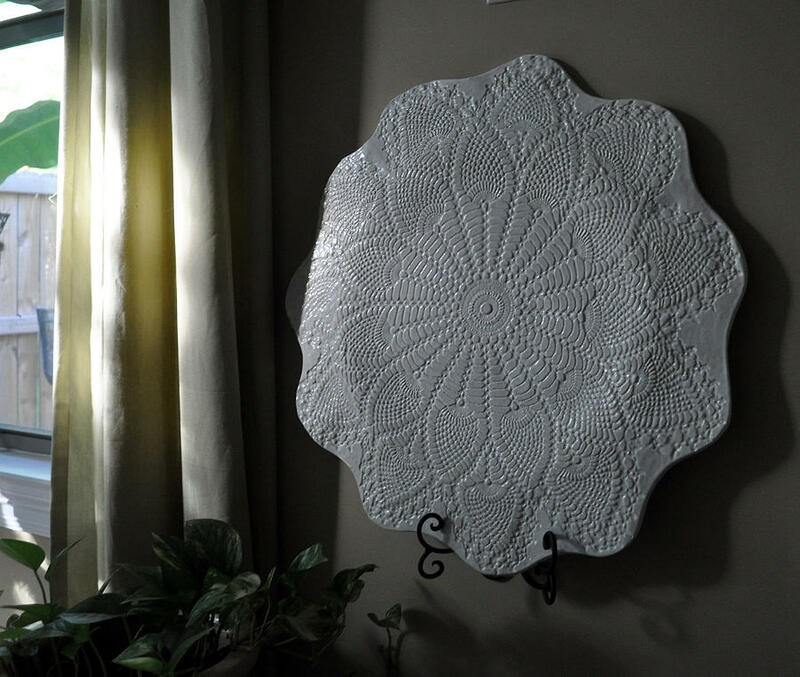 Wedding Plate Pottery is a ceramic art by Amanda Sanford which was uploaded on October 7th, 2010. This plate is huge! Designed to hold a wedding cake or anything you like. After 7 tries this plate is not perfect but it is close enough for me! Greatest challenge I have ever faced with my art! There are no comments for Wedding Plate Pottery. Click here to post the first comment.